May 2017 – Yo Bagels! Want to know what it takes to make the best bagels in Hawaii? Aileen and I are from New Jersey and New York, respectively, and neither of us will hesitate to tell you our home states are, collectively, the bagel capital of the world. We founded Yo Bagels with a vision for what the perfect bagel should look and taste like based on years of experience searching out the best bagels on the east coast. All bagels are made from the sames basic ingredients: flour, water, salt, and sugar, but the way those ingredients are combined makes all the difference in the world. Yo Bagels are made in the New York/New Jersey style, but with a few secret touches that make them uniquely awesome. Every bagel we make starts it’s life at least 36 hours before it is baked. 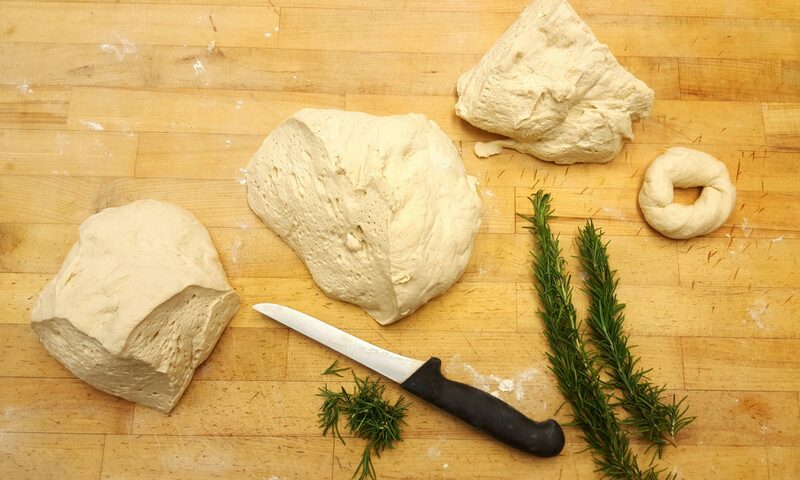 This gives our dough the time it needs to develop its characteristic flavor and texture. Because we know fresh is best, we start baking before the crack of dawn on market days so our customers get their bagels hot out of the oven. We divide our dough and then individually roll and shape each bagel by hand. Our bagels are then dropped in boiling water to develop their signature crust, topped with our custom seed blends, and baked until golden and delicious. Sure, you could settle for other bagels, but why settle for less? Yo Bagels are available every Sunday at the Pure Kona Green Market at the Amy B.H. Greenweel Ethnobotanical Garden in Captain Cook, daily at the new and excellent ‘Iwa Cafe in Kealakekua, and whenever and wherever you like by special order. Yo Bagels, serving up the best bagels on the Big Island!